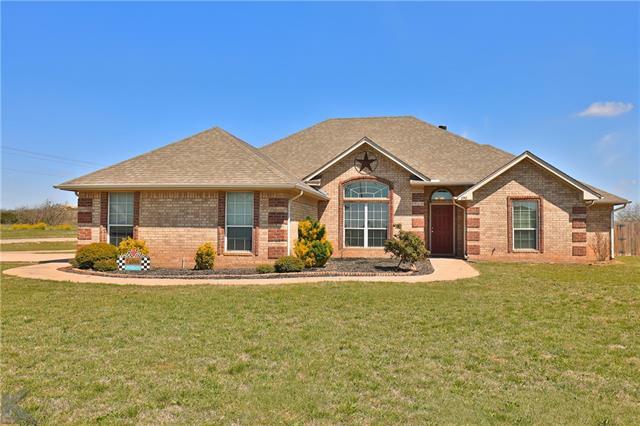 All Tuscola homes currently listed for sale in Tuscola as of 04/20/2019 are shown below. You can change the search criteria at any time by pressing the 'Change Search' button below. "Location! Location! Location!This Mediterranean style 3-story home located on Steamboat Mountain is a one of a kind presenting spectacular panoramic views of the Abilene and Tuscola surroundings.Exquisite finishes and superb craftsmanship and amenities galore.First floor procures open concept design with Living room, Dining and Gourmet Kitchen.Master Bedroom suite, office, two bedrooms and baths are also on first floor along with wine niche' and utility room.Second story has Game Room,Cantina, b"
"Stunning Mediterranean-meets-Texas style home on beautiful Steamboat Mountain! 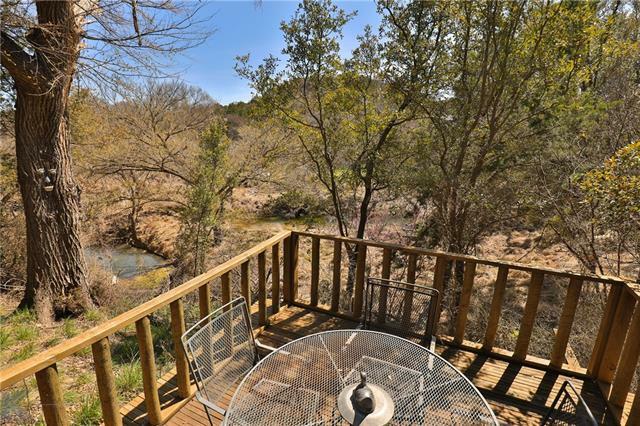 Enjoy Austin and Hill Country views without Austin prices!!! 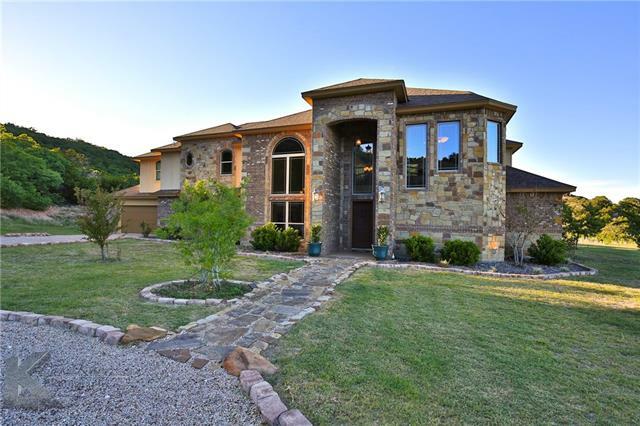 This beautiful Texas-Tuscan-style home is seated on the side of prominent Steamboat Mountain with scenic views for miles!!! 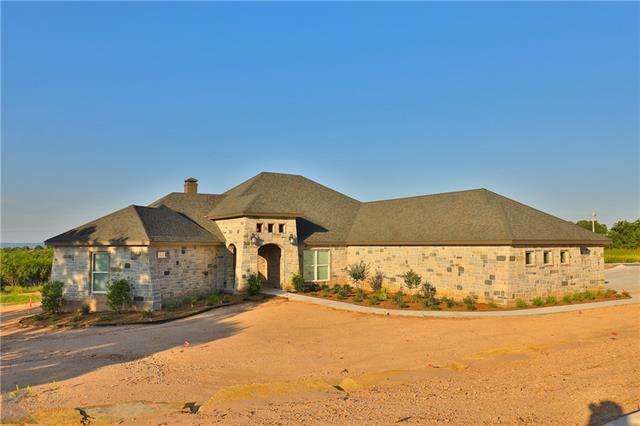 This elegant 5+ bedroom, 4.5 bath home is detailed throughout and was built to entertain, featuring 2 living and dining areas, 2 fireplaces, large game room, guest rooms, and outdoor entertainment. No HOA or deed restrictions on this s"
"55 acre private estate with luxury features! 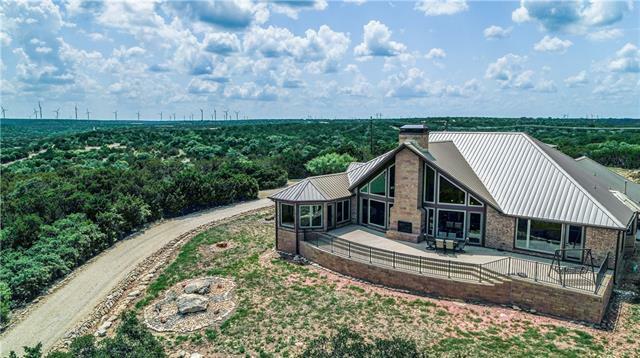 Perched on towering hills, the 2,939 sq ft, 3 bed-3 bath custom home sits at elevation of 2,300 feet with over-sized windows for the million dollar panoramic view. Entertainer s open floor plan connects the living room & gourmet kitchen, centered around the floor-to-ceiling fireplace and 22 foot vaulted ceilings. Insulated windows & breathtaking 22-mile view can be enjoyed on the large back patio with built-in fireplace. 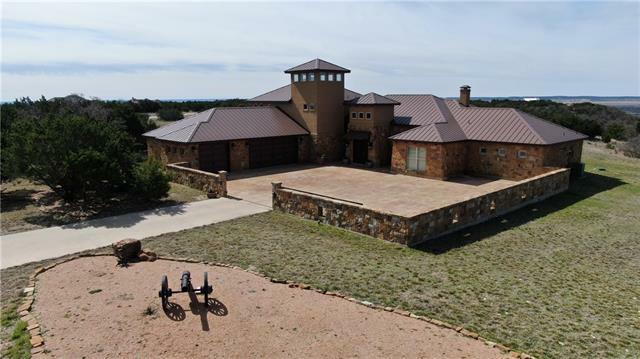 Gourmet kitchen with large "
"18 acre private estate perched on towering hills, the 2,939 sq ft, 3 bed-3 bath custom home sits at elevation of 2,300 feet with over-sized windows for the million dollar panoramic view. Entertainer s open floor plan connects the living room & gourmet kitchen, centered around the floor-to-ceiling fireplace and 22 foot vaulted ceilings. Insulated windows & breathtaking 22-mile view can be enjoyed on the large back patio with built-in fireplace. Gourmet kitchen with large island, veggie washer,"
"This one just keeps going and going, with three floors, tons of storage, and office space galore! The bottom floor features a large living room, complete with wood burning fireplace, and a wonderful master suite! Upstairs, you will find the rest of the bedrooms, as well as a 3rd floor with ladder and trap door access. All bedrooms feature large walk-in closets, and any one of the rooms or closets could double as office space if desired. 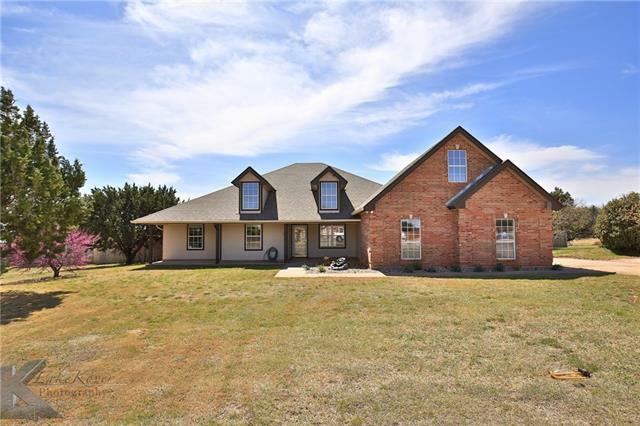 If that isn't enough, head out the front door for a peacefu"
"Close to Abilene retreat - deer, wildlife, surface water, a real getaway place for your home. Barn apartment for guest or caretaker. Listen to the quiet only minutes from Abilene." "The open concept of kitchen living and dining features two walls of windows looking out to the beautiful Steamboat Mountains. Large covered front porch is perfect to relax in quiet serenity with morning coffee and the perfect book. The split of the extra bedrooms are all off and additional living or office space. The land has stunning typography and could be used in various ways. Lots of wildlife allowing you to hunt in your own back yard. Seller will convey all mineral right owned. An addi"
"AO relationship - Built by Countryside Homes, LLC. This 4 bedroom, 3 bath will be featured the Parade of Homes this year. The home will feature a sun room-game room, a chef's kitchen, a large master bath, a 3-car garage, large patio, and many more bells and whistles. The property is located in the gated community of the Sandstone subdivision. The home sits on a 1.4 acre lot, with a view, in the Jim Ned schools." "Views for days on this property. The 5acres come with a pond. The spacious downstairs master suite has a built in desk area & en-suite with separate vanities, granite counter tops, large garden tub & separate shower. A a beautiful living room with 19 foot soaring ceiling & real hardwood flooring, spacious kitchen with Corian counter tops, beautiful Ash cabinetry, island with prep sink, Formal & Casual Dining & a utility room with sink & ice maker. There is a game room off the bedrooms upstairs. " 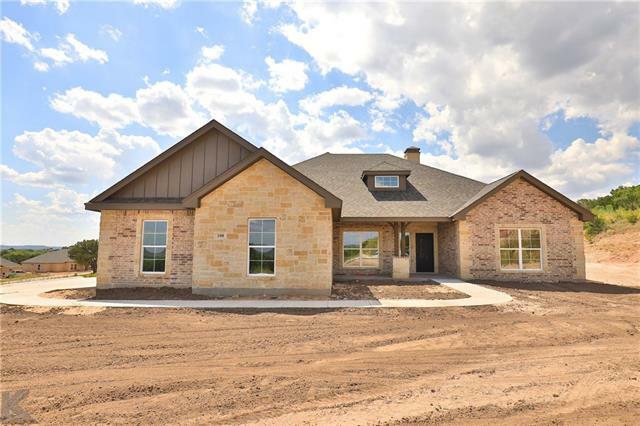 "This stunning Lantrip s Custom Home Floor plan features a 4 bedroom, 3 bathroom 2 living area ranch house with a 3-stall garage, giving you 2250 sq ft of generous space for your family to enjoy. Offering exceptional design and luxury inclusions such as, rich wood tile floors in focal areas, crown molding and trendy light fixtures throughout. Your eyes are immediately drawn to the vaulted ceilings in the family room leading you out to the large covered patio perfect for entertaining where y"
"Agent owner relationship - Beautiful Countryside home sitting on a hill base of Steamboat mountain. 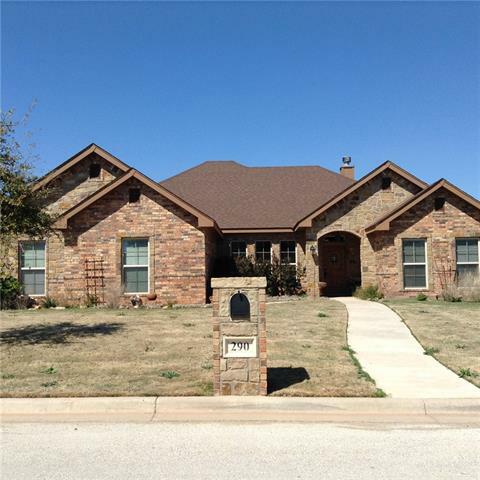 This home features 4 bedrooms, 3 bathrooms, 3-car garage, an office and large patio." 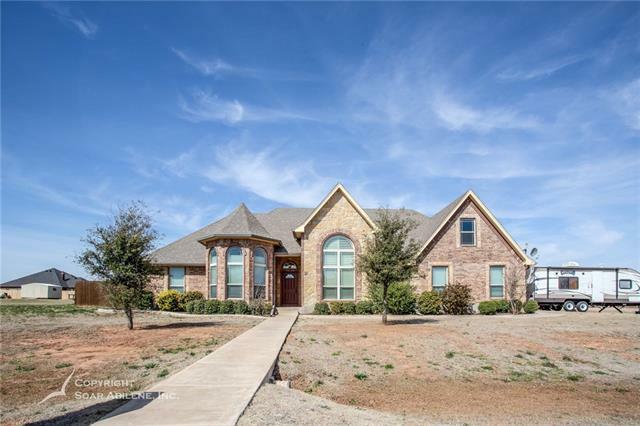 "This 4 bed 2.5 bath gem is tucked away in the highly desired Mountain Meadow subdivision. With the natural light, open floor plan, stunning vaulted ceilings and the charming master suite this home is sure to please. The large backyard is perfect for entertaining and with the view from your covered patio makes this home even sweeter! There is an unfinished upstairs that could be a great play room or another bedroom!" "owner agent relationship -Built by Countryside Homes, LLC. This home is being built on a corner lot with a circle drive tucked up against Steamboat mountain in the Sandstone subdivision. The home will feature large picture windows along the back of the house, a room sized master closet, beams in living room, fence, landscaping, and much more! The builder plans to have the home completed at the beginning of December." 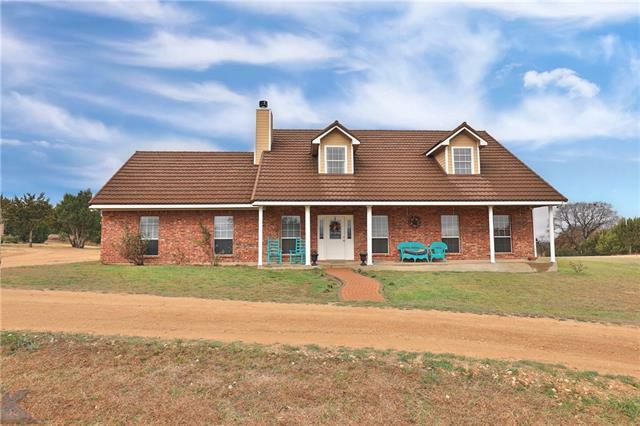 "Nestled in the tranquil Lakeview Ranch Subdivision in Tuscola, this secluded home boasts over 6.6 manicured acres with beautiful views of Lake Abilene and abundant wildlife. 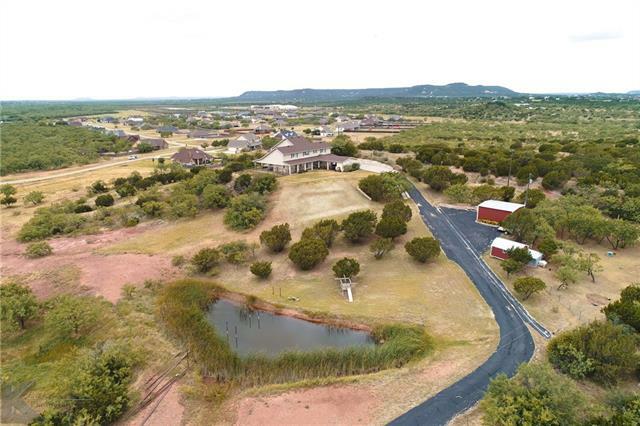 Featuring over 3,000 square feet of space, a large eat-in island in the kitchen, and inviting garden tub in the master bath, this two-story home offers luxurious country living, while still only a short drive from Abilene. 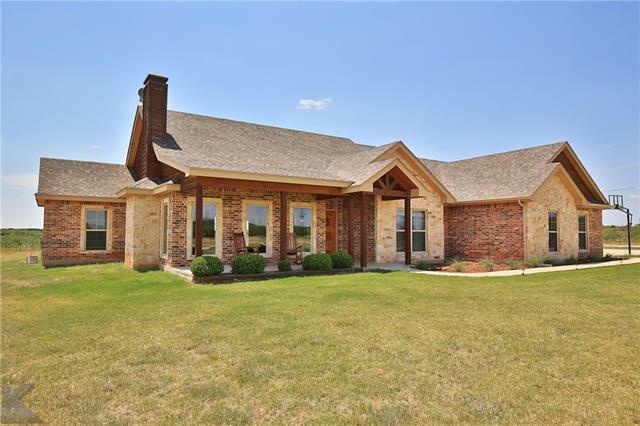 Located in the highly sought-after Jim Ned School district just minutes from the Abilene State Park, w"
"Beautiful Elm Valley custom home on 8.51 acres. 3 bed, 2.5 bath, immaculate home with plenty of room inside and out. Tile and wood floors, custom hickory cabinets. Living room wired for surround sound. Freestanding wood stove with blower and thermostat. Matching guest house with separate electric meter and propane tank, could also be used as a B & B or rental. 14X20 office building (negotiable) insulated, heated-cooled with phone and internet. 50 amp RV hookup. Water and electric hookups thro"
"New pictures coming soon! You will want to move quick on this one to make it yours. Perfect location with amazing views 360 degrees around you. Just out side of town but easy to get anywhere. Jim Ned Schools. Attention in the details to this custom home make it stand out. Large covered front porch with stunning wood work. Kitchen with custom cabinets, large island, and designer granite open up to the living area with a wood burning fireplace that centers the room. Floating shelves and buil"
"Just outside the city limits, this home has a WORKSHOP WITH ELECTRICITY, INGROUND POOL AND 4 BEDROOMS. The open floor plan includes gorgeous wood floors, tile and carpet. The spacious kitchen boasts granite countertops, stainless appliances and a large island. You will love the live edge mesquite mantle over the fireplace, the surround sound and custom blinds. The master features a spacious bath with huge walk in closet. Complete radiant barrier attic and high SEER heat pump. Beautiful spa"
"BEAUTIFUL SETTING IN THE CANYONS. UPDATED AND SPACIOUS FOUR BEDROOM WITH OPEN KITCHEN-LIVING CONCEPT, FORMAL & CASUAL DINING, TWO & HALF BATHS, UPSTAIRS BONUS ROOM. 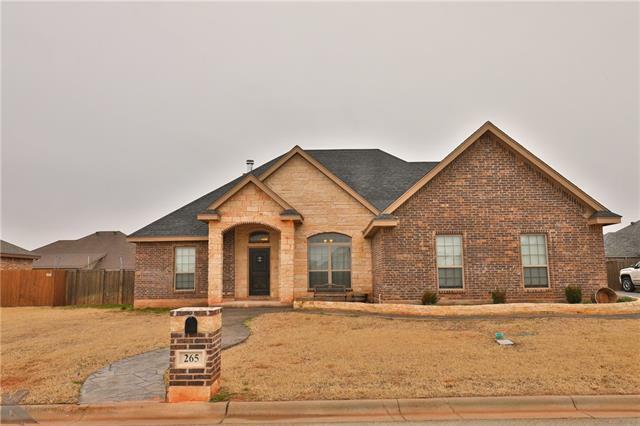 WRAP AROUND TILED BREAKFAST BAR, PANTRY, CORNER BRICK FIREPLACE, WONDERFUL BUILT IN SHELVES & STORAGE IN BEDROOMS. MASTER BATH HAS LARGE WALK IN SHOWER. JIM NED ISD. 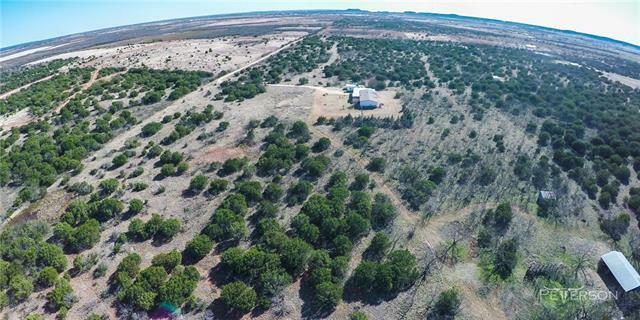 1.26 ACRES, VIEW OF THE HILLS OF ABILENE. PRICED TO SELL"
"This gorgeous home with curb appeal is located in the established Remington Estates neighborhood. If you love to entertain both indoors or outdoors, this 4 bedroom 2.5 bath home with an open floor plan will fit your lifestyle perfectly. Use the bonus room upstairs as a 5th bedroom, play room, office space, or even a media room. So many possibilities! 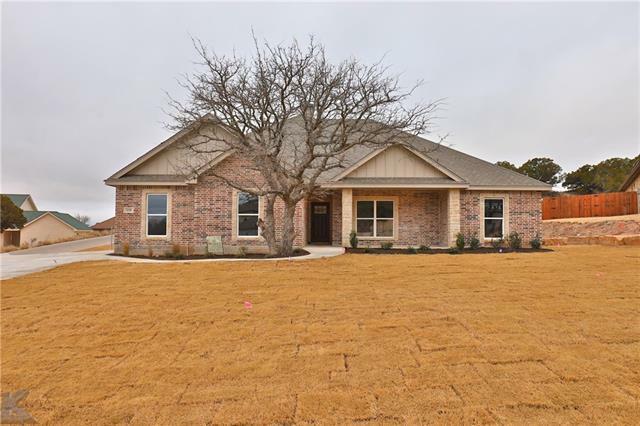 You will love the exterior stained and stamped concrete work, the outdoor grill area, all the extra storage in the home, the custom cabinets, grani"
"New Construction by MeLa Development in Tuscola. 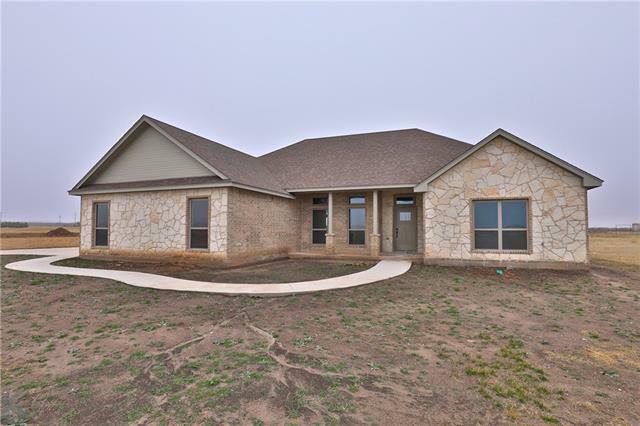 This 4 bedroom, 2 bath 2145 square foot home will have granite counter tops, open concept in the kitchen and all electric appliances, bedrooms with walk in closets, his and hers vanity in master bath. Verify sq. footage. Take 83 84 to Tuscola. Drive through the town and take a right on 1st st. drive about 2 miles and subdivision will be on your right." "BEAUTIFUL HOME IN REMINGTON ESTATES BUILT FOR ENTERTAINING & EFFICIENCY amazing home has spray foam insulation, dual tankless water heaters, low-E windows, dual-stage HVAC, upgraded energy-star stainless appliances & upgraded dual rate low flow toilets.Beautiful open kitchen has granite counters,large island, double oven & true-vent hood. Expansive master suite has all the bells & whistles; spacious walk-in shower, whirlpool tub, & large walk-in closet with sitting area. Split floor plan w spaci"
" 40 acre property nestled just south of the Callahan Divide offers plenty of possibilities in a fantastic location. 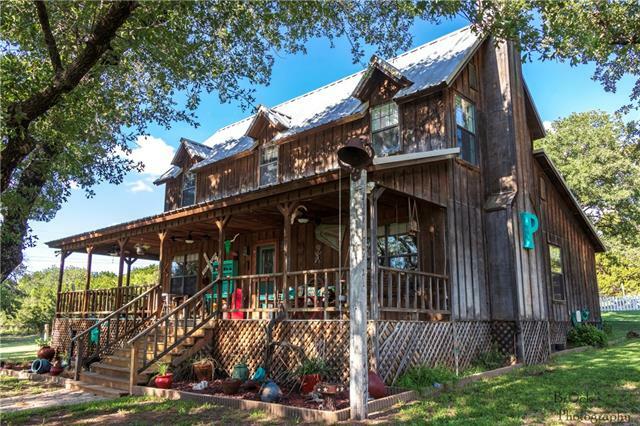 Property features a 4bd, 2.1ba doublewide with attached carport & enclosed shop space with electric, and a livestock shed with electric. 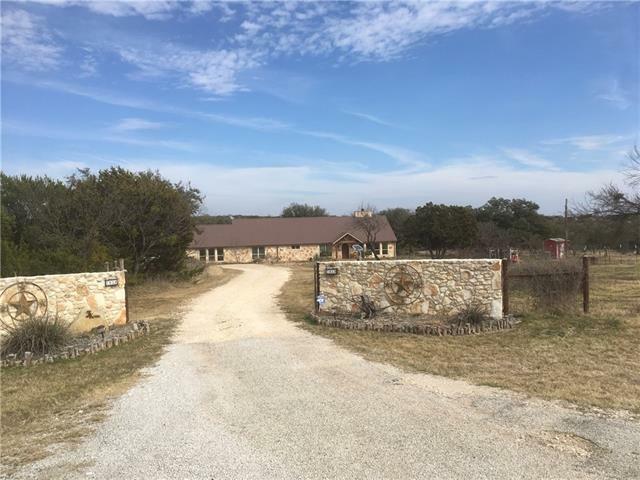 Approximately 11 miles from Abilene, 4 miles from Buffalo Gap, and 3 miles from Tuscola. Enjoy hunting, recreation, a great place to live or build new. Property also bolsters development potential in the Jim Ned School District." "Breathtaking views from this move-in ready 3 Bedroom home with office (could double as a 4th bedroom or playroom). The generous kitchen includes an abundance of cabinets, double oven, range top, & dishwasher. Two dining areas - formal & casual - or use the formal for a second living area. Good size pantry & utility room. The spacious Master suite has a jetted tub, separate tiled shower, & dual vanities. 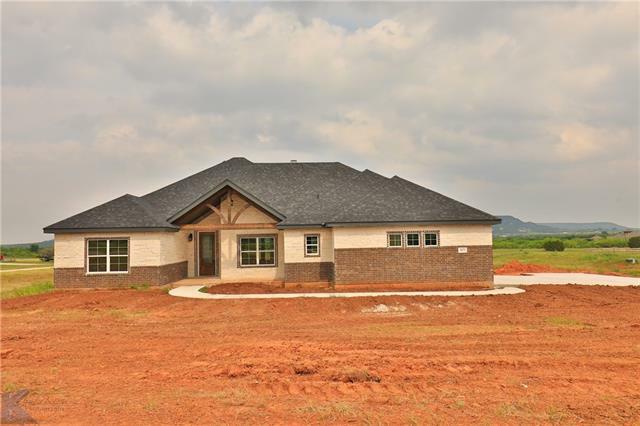 The 1.031 acre lot has a wood privacy fence, storage building, extended patio, & plenty of r"
"Check this new build from DOC Homes. The floor plan is of the builders favorites and is bound to be your favorite too. 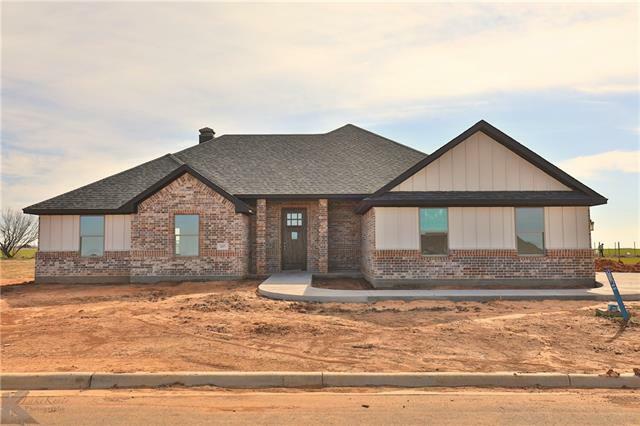 Open concept 4 bedrooms and 2 bathroom with lots of extras including luxury vinyl flooring, shiplap accents, and granite counters throughout. Eat in kitchen with large island and large walk in pantry. Master suite is one you'll drool over with dual sinks, garden tub, separate shower, and large closet with laundry room access."